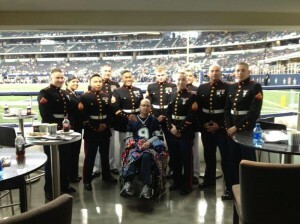 Operation Once in a Lifetime » A Terminally Ill Marine get his wish granted..
A Terminally Ill Marine get his wish granted..
Sgt. 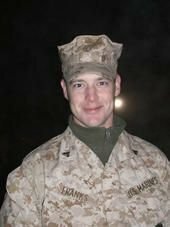 Josh Franks was deployed 3 times before being hit by an IED on his last deployment, thankfully, he suffered no physical wounds because of the amount of armor on his vehicle, but he did develop some minor headaches. After coming back from overseas and going through some routine checkups, SGT Franks got some very bad news. Josh was diagnosed with an inoperable Brain Tumor that will take his life. 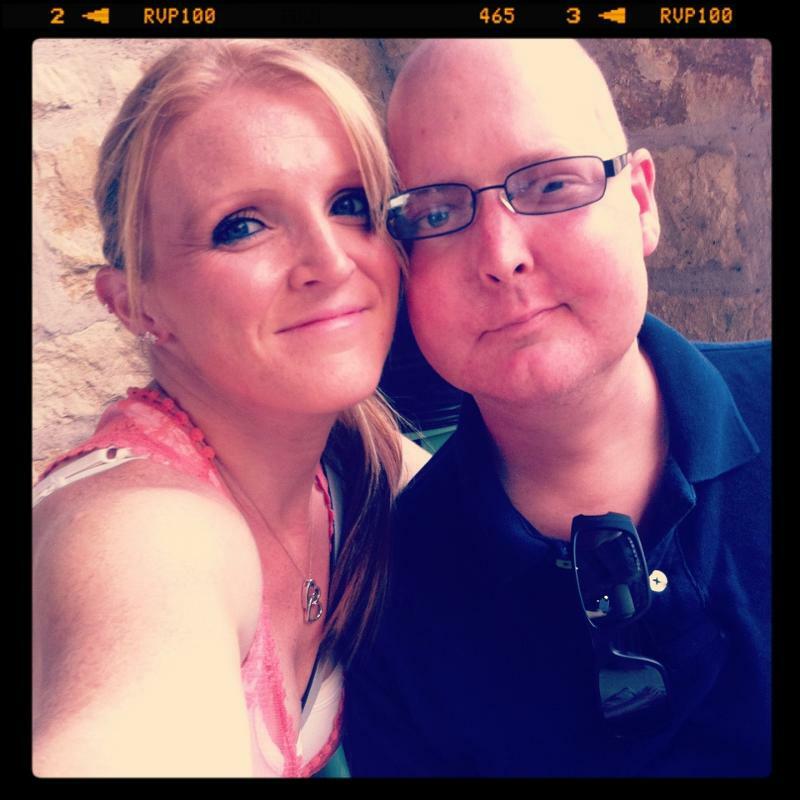 As you can see from the pictures below, the brain tumor has greatly affected Josh just over the past 12 months and Josh does not have much time left. Josh had a wish that he wanted to come true and that wish is that he wanted to go to a Dallas Cowboys game. 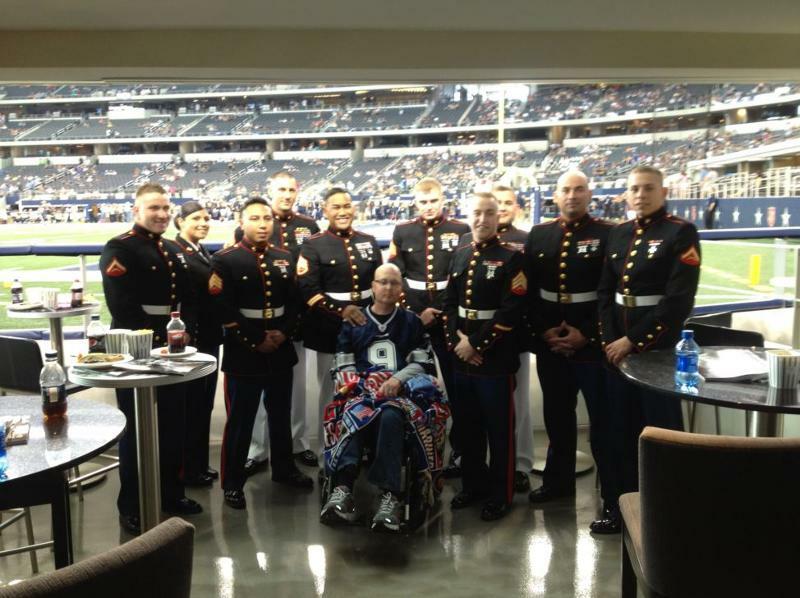 So with a phone call from Josh’s wife to Operation Once in a Lifetime, Josh’s dreams came true this past Saturday by not just going to a Cowboys game with his wife, father and brother, but having a group of Marines in Dress Blues waiting for Josh in a lower level field suite at the game. Thank you to everyone who supports Operation Once in a Lifetime and all of our Military Service Members and their families.